Vahni Capildeo said in a 2012 interview with Zannab Sheikh that ‘poetry is a form of concentration’. Her latest collection, Measures of Expatriation, puts this principle to work. Comprised primarily of prose-poems, the book’s non-linear, associative narratives require the attention of poetry, yet float across the watery expanse of prose. 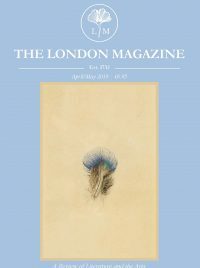 This technique suffuses both the form and content of Capildeo’s work, an aesthetic approach the poet calls ‘room-with-exposed-brickwork’, lacking a sense of polish, intentionally shirking (traditional) narrative, and rejecting what is studied and exact, coherent and whole. The epigraph of the poem ‘All Your Horses’ captures this book’s overall method: ‘As if no thought beyond immediate transferral: mind to paper’. Formerly an OED lexicographer, Capildeo’s Oxford DPhil in Old Norse and Old English inform her poetry, which tends toward alliterative and consonantal sound patterning. Fiercely intellectual, her writing plays with the alignment and disjunction of ‘meaning’ as it pushes against the backdrop of lived experience. The core prose-poems, ‘Fire & Darkness: And Also / No Join / Like’, ‘The Book of Dreams/Livre de Cauchemars’, ‘Seven Nights in Transit’, ‘All Your Houses’ and the ‘Five Measures of Expatriation’, each present a new avenue into the concepts of identity, nation, (dis)connection, and isolation. To borrow the poet’s words, Capildeo takes ‘trodden paths but also many turnings’ (‘Too Solid Flesh’). That was when I began finding out how widespread pigeon phobia is in the south of England; as inconvenient in its way as the well-diagnosed lizard phobia in the Caribbean. How was it that till questioned, till displaced in the attempt to answer, I had scarcely thought of myself as having a country, or indeed as having left a country. …some third-generation immigrant families briefly fought according to the lines of what had not been a division. In lands far away, current events were indirectly regenerating or inventing this part of Trinidad’s past also… (‘Fire and Darkness: And Also/No Join/Like’). televised missile fireworks were going off, white and purple. What had so upset him?…Brownskinned people with strong features and children of adorable gravity were being killed from the air…People who looked like they could be family. that territory where a dream of the village East washes through into somewhere western, momentarily eroding the reality of both, sometimes leaving permanent alterations in its wake; somewhere like Trinidad, so Indian even if not considered so, so Western even if not called so, thumbnail of the Americas, immigrant blood opal at its base (‘Too Solid Flesh’). Armed Forces man…had the kindness to ignore the others at the dinner table, in order to explain to me how I might acquire density: essentially, I was the same as any woman, if we could put aside the intellect. Abruptly he took on the aspect of a pegged grapefruit of which one quarter had been eaten. His head not only disappeared; it also came apart. ‘I love you,’ he wouldn’t say: it was against his philosophy; I-love-you didn’t mean what it meant, plus the verray construction of the phrase caused bad-old-concrete-lawman-vandal-verbal-mildew-upon-the-grape-harvest-and-war-for-rare-minerals-required-to-manufacture-communication-devices damage; saying I love you damaged love, subject and object (‘I Love You’). 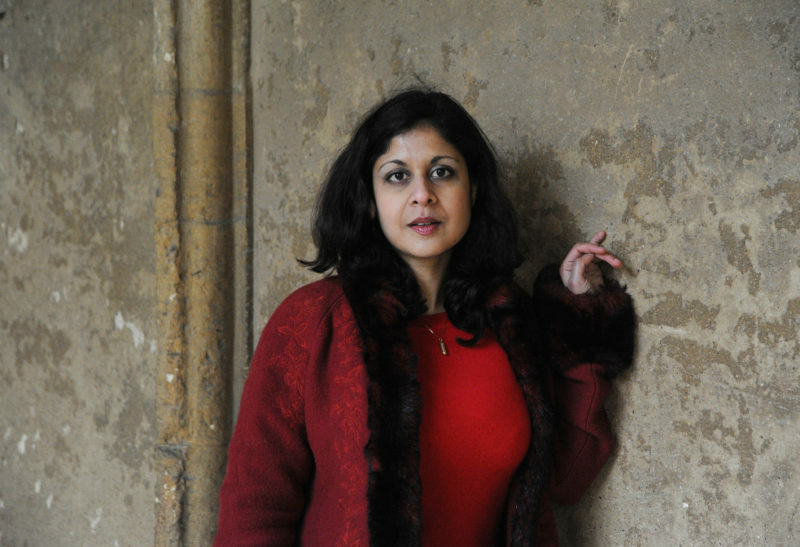 This creates an alluring air of intimacy, however, ocasionally the prose weighs down the beauty of the image—‘a heart splintered into a rose of frost’—and, on occasion, the lyrical brilliance of Capildeo’s work is overshadowed by her blocks of prose. …the unique transformation of love lays out a courtyard for friendship that perhaps wanted a lesser space, perhaps wanted only a bench in the shade, perhaps has become an exile beyond welcome who turns away bewildered by plenitude. Turned over a new leaf to indict science silence/siloed whiteness witness; was a portal, no paper;/near as Narnia, fell in…’ (‘Sycrax Whoops’). Expatriate. Non depaysee, sin saber por que nip or que se yo, unhoused free condition. I arrive at the theme, which surely is a citation. In this way, the theme and content achieve renewable acts of noticing. Here Capildeo exercises the belief that ‘the morality of pure disconnectedness makes the easy poetry of analogy impossible’, and throughout the whole book, to again borrow the author’s words, she attempts to prosaically render ‘a pointilliste vision given an order of dismissal’ (‘Too Solid Felsh’). This approach, however, can be extremely alienating for a reader. The line ‘I tried to maintain a sense of direction…I could/not see with whom, but we had to keep up’ adequately summarises the effect of a first read (‘The Book of Dreams/Livre de Cauchemars’). if it’s all to air you’d turn, turn to me. You are flying inside me. …being here is returning to being here and returning surely is about leaving, so this above all is the place that makes me feel alive-and-dead, it is a birthplace (‘Seven Nights in Transit’). Because I am superstitious, I am stringing a series of lights between this and anything else that happens’ (‘Too Solid Flesh’). The fractured nature of Capildeo’s writing has been aptly described by Rod Menghan as being ‘brought up hard against an unmoveable rock’. However, I must admit that I do not share the same enthusiasm for such a sensation. Poetry should move us but not batter us. The pleasure I get from (prose-)poetry stems from the act of following, one pond-stone behind, the path of the writer, trusting in their leap. When the reader miscalculates, however, or when the solid stone is suddenly transformed into a post-modern mirage, the result is sometimes refreshing, but more often than not, disorienting. 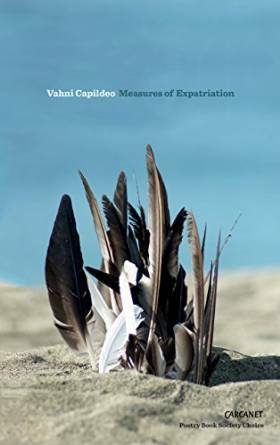 However, I am grateful to Capildeo for brining such a timely issue to literature’s often austere and highfalutin form, particularly in light of recent changes to the UK’s visa and immigration policies. Issues of place, identity, and nation need to be addressed, both in poetry and in society, as more people, whether immigrant, expatriate, exile, or migrant, become at once displaced by the expansion of a ‘global society’ and marginalised by it. Overall, Measures of Expatriation successfully captures the sensation of being not only at the boundary of nations and privilege, but also the permeable border between genre, sense and syntax, interiority and exteriority. Capildeo’s work is a ‘creation [of art], but not always of a kind to be named’, which encourages the reader to interrogate and redefine the way he or she conceives of so-called clear divisions (‘Louise Bourgeois: Insomnia Drawings’). As Capildeo remarks at the close of the book’s penultimate section, ‘there is true emotion in the full engagement of the mind’s powers’: an apt description of the intelligence and acumen that illuminate every page of this accomplished collection.